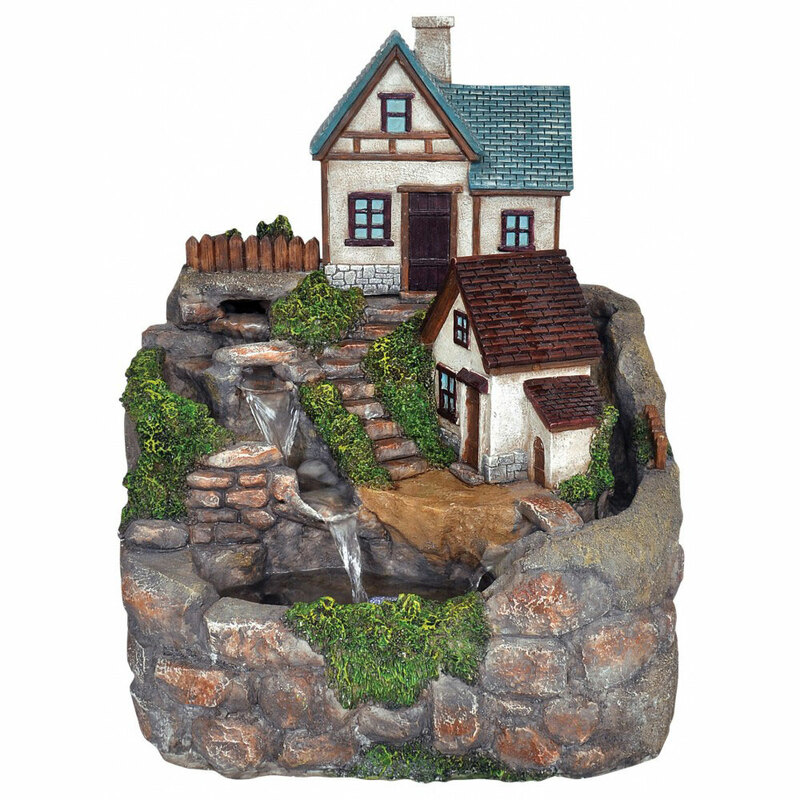 Kelkay® Bramble Cottage Water Feature from the popular Country Cottage® range offers an authentic miniature self contained animated water feature suitable for indoor or outdoor use including L.E.D. light. 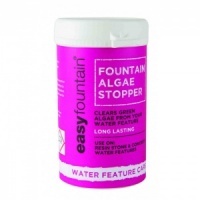 Delightful relaxing mini water fountain for garden or home including water pump. Simply plug into mains electric, add water and enjoy the tranquil and soothing trickling of water at daytime or night. Suitable for placement outdoors on a patio, balcony, rockery, plant bed or inside as a tabletop feature. Superbly detailed water feature where a moving stream of water makes it route down from a miniature rock garden at the head of the featured scene, over the mini rocky hillside and falling naturally to a base pool, while another natural stream runs behind the cottage arriving into the same base pool. Basin requires filling with water and the recirculating pump auto recycles the water so no wastage. Base pool has a soft illumination effect due to low voltage LED light which brightens the shimmering water. Suitable for either indoor or outdoor use, the Kelkay Bramble Cottage feature is made from resin, ensuring a durable feature for your home or garden*.